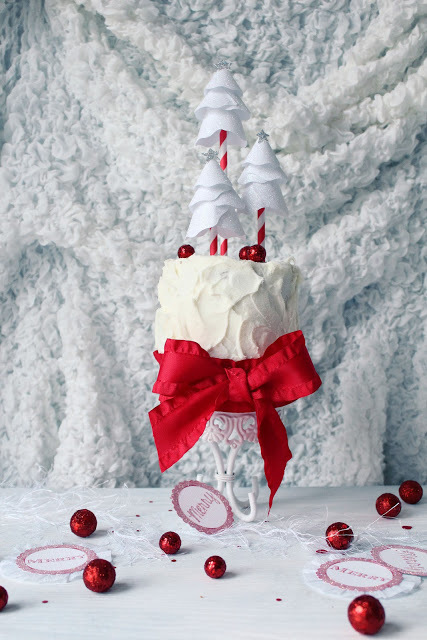 Juneberry Lane: Wonderful Wednesday: Winter Tree Cake Toppers . . . 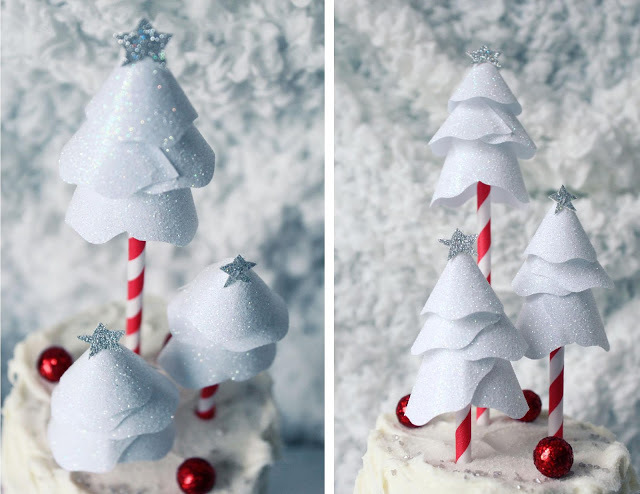 Wonderful Wednesday: Winter Tree Cake Toppers . 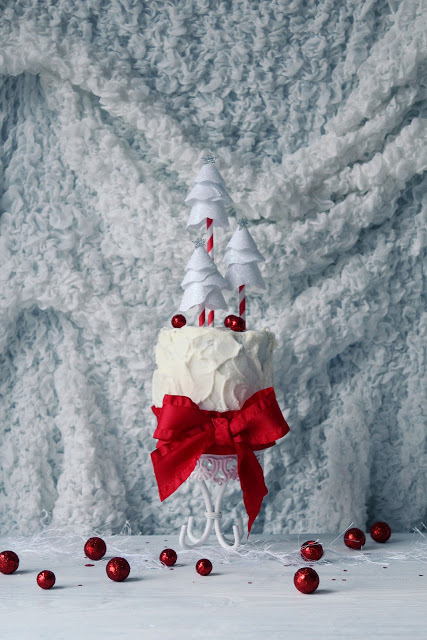 . .
Take a step into your own personal Winter Wonderland with this fun & fantastic little craft courtesy of Icing Designs. These sparkly beauties would look darling on top of cupcakes, yummy holiday cakes & pies, or even dressing up either side of your gingerbread house! Even better, they are so darn simple to put together! Just see for yourself . . .
~ Cut the straws a little more than half. 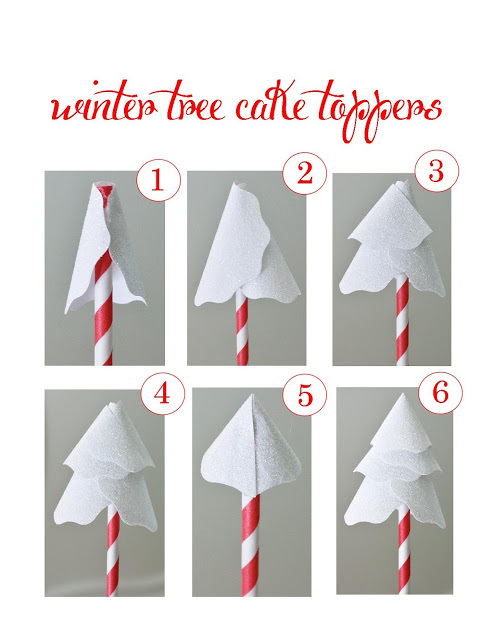 You can cut the straws several different lengths to make taller or shorter trees. 1. Wrap the top of one circle at the top of your straw and glue in place, making sure to position it on an angle so that the bottom sticks out and is not glued too close to the straw. 2. Overlap your other full circle and glue in place, again making sure the bottom sticks out to the side. 3. Glue one of the half circles on an angle on top of the full circle. 4. Do the same with another half circle on the other side. 5. Glue the edges of your last half circle together, making a cone shape. 6. Glue on top of your straw. 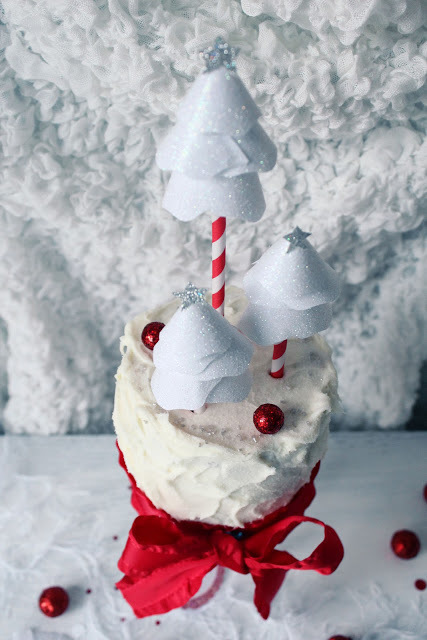 Just add a glittery star or other tree topper of your choice to complete your tree!